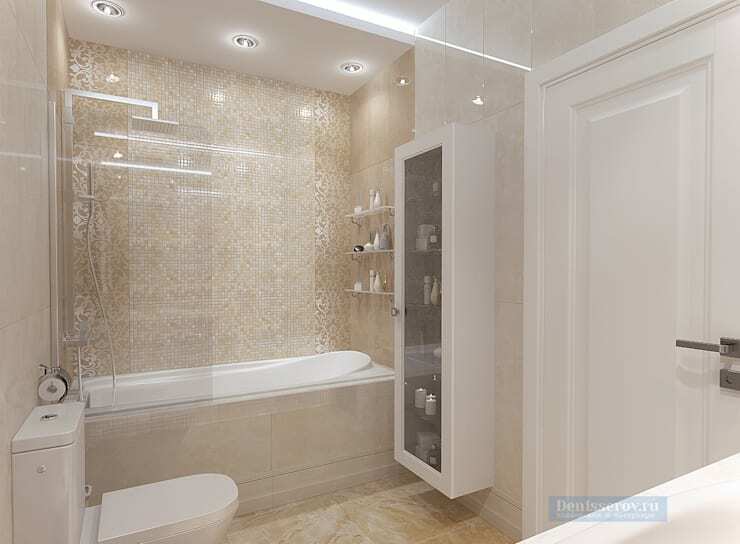 A bathroom is very important for every house and that is why it is necessary to take care of the smallest detail while designing. The goal is to be able to define this room as functional, practical and comfortable, that too for everyone including your guests. 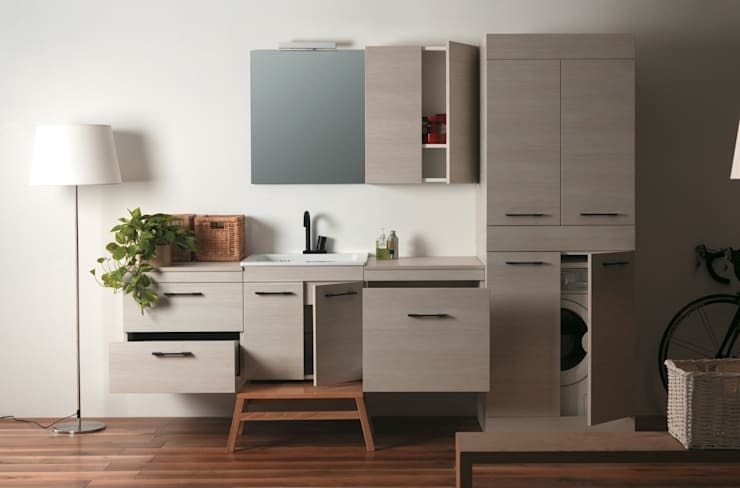 Furniture, accessories, shelves and closets are essential in the bathrooms, as they serve to keep and protect our belongings. At the same time they can make your room look organized and clean. Here are 20 pictures of beautiful looking bathrooms that can inspire you. 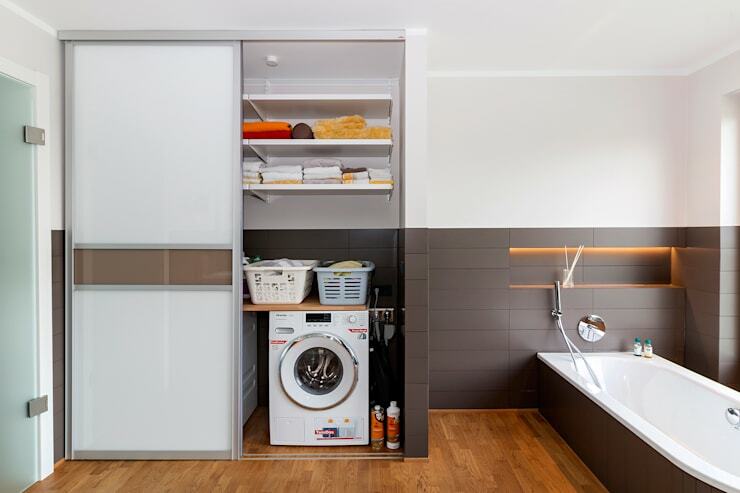 Concealing your washing machine with the help of doors will make the space look well organized. Wall mounted fixtures can give you an illusion of additional floor area. 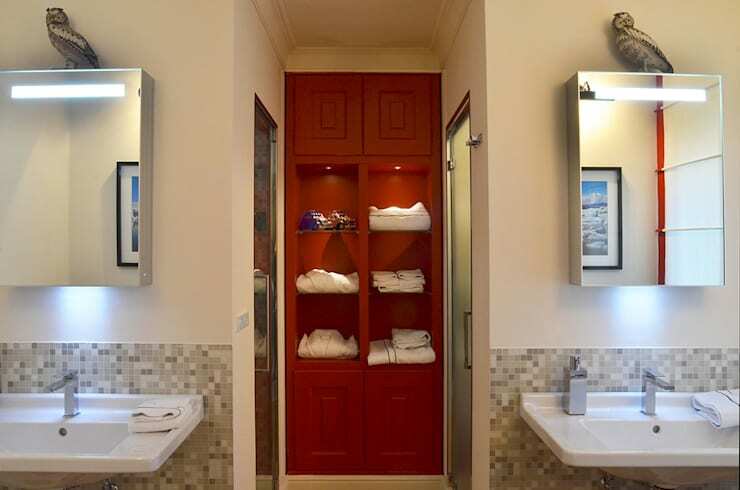 Similar looking cabinets can be used for keeping towels within the bathroom. 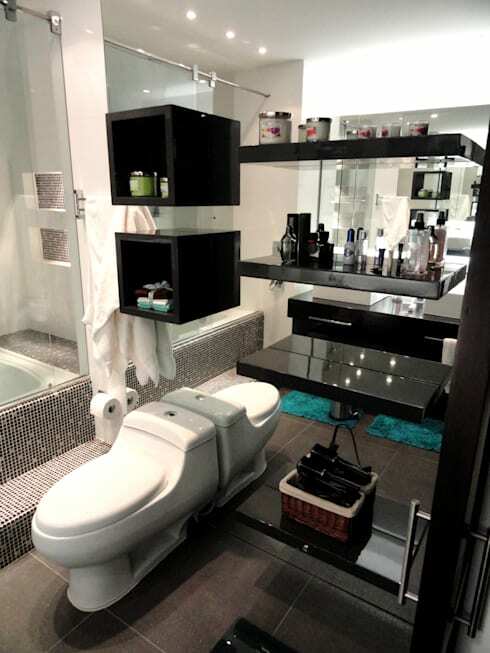 In case you have a smaller bathroom then utilising the vertical space available for creating storage is a must. 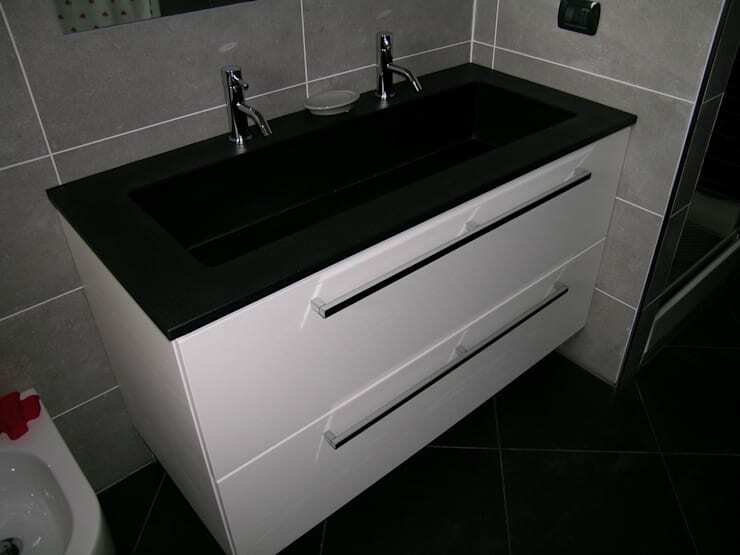 Classic colour combinations like black and white can make any bathroom look grand. 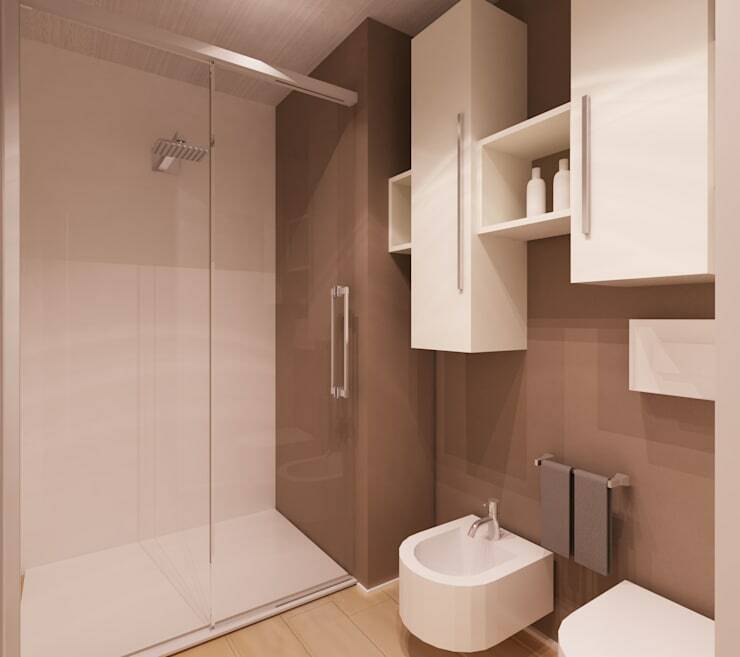 Opting for a pure white interior for your small bathroom can make it look neat and clean. 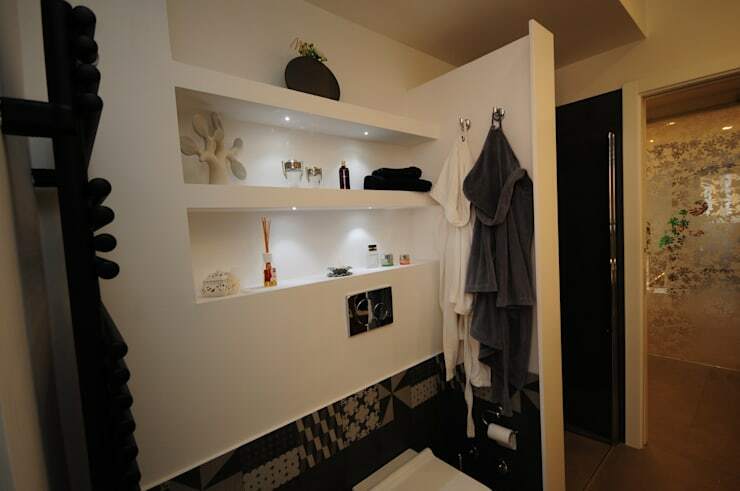 Another space saving trick that you can use for your small bathroom is installing sliding door cupboards. 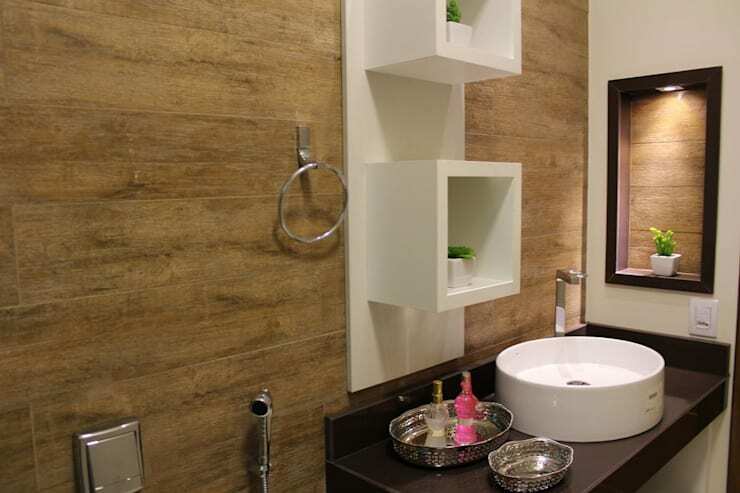 To make your bathroom looks unique you can cover one of the walls with natural stones. 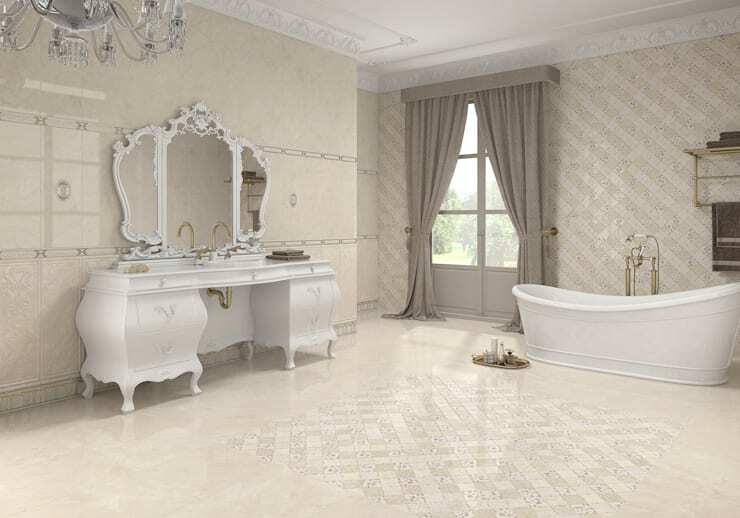 Tiled focal walls can also transform the look of your bathroom instantly. 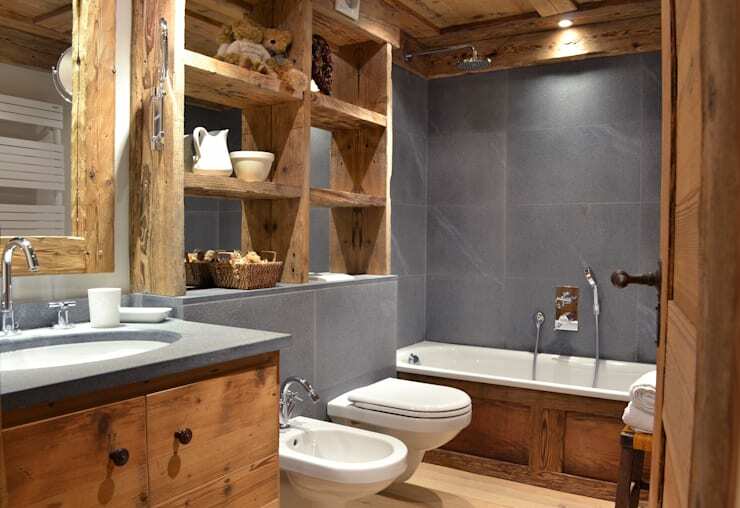 To achieve a rustic look within your small bathroom opting for natural wood fixtures is an excellent idea. The delicate patterns on the wall along with the designer vanity and chandelier add a vintage charm to this spacious bathroom. If you do not want additional cabinets in your bathroom then these in-built racks are a great alternative. 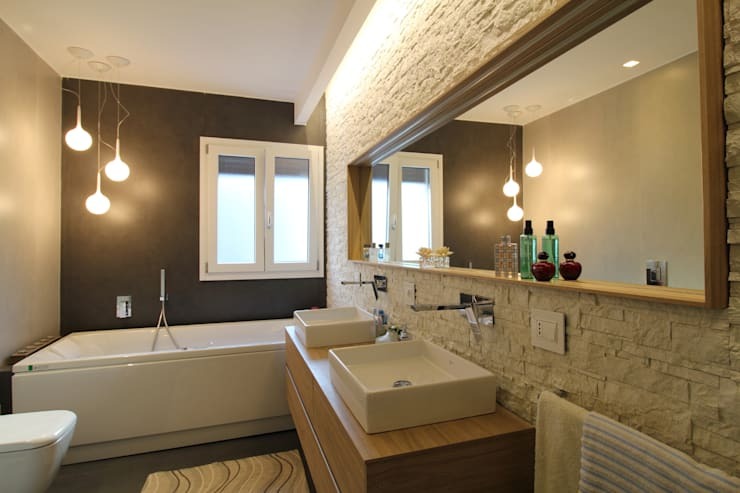 Installing proper light fixtures throughout the bathroom can make a small room look bright and airy. 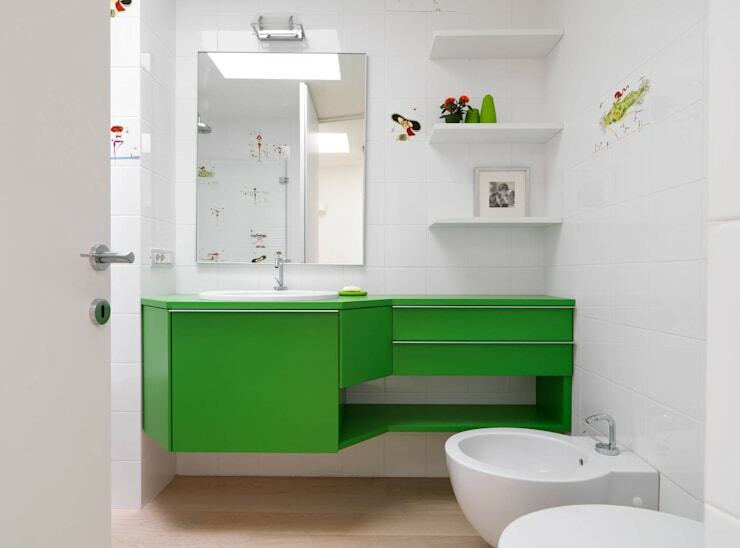 To uplift the vibe of your bathroom adding a touch of bright colour is worth trying. 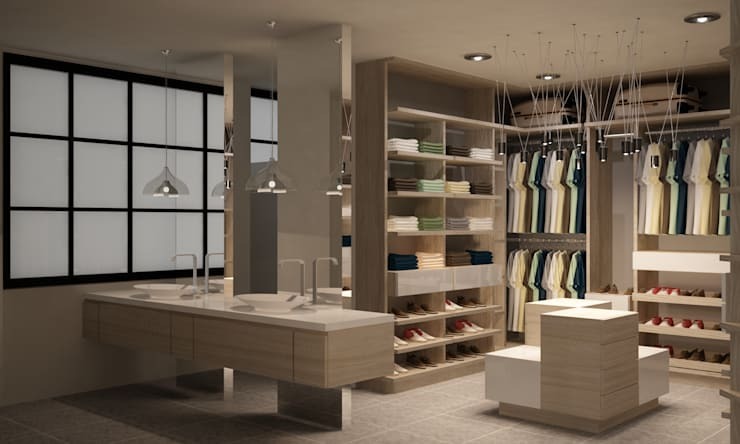 Combining an open bathroom and dressing room can give you the perfect relaxing zone. 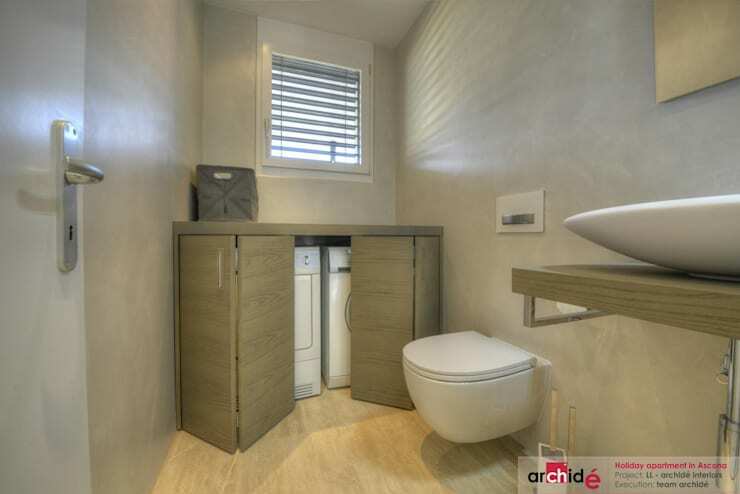 This couple's bathroom has two of everything including the sink and the shower cabin. 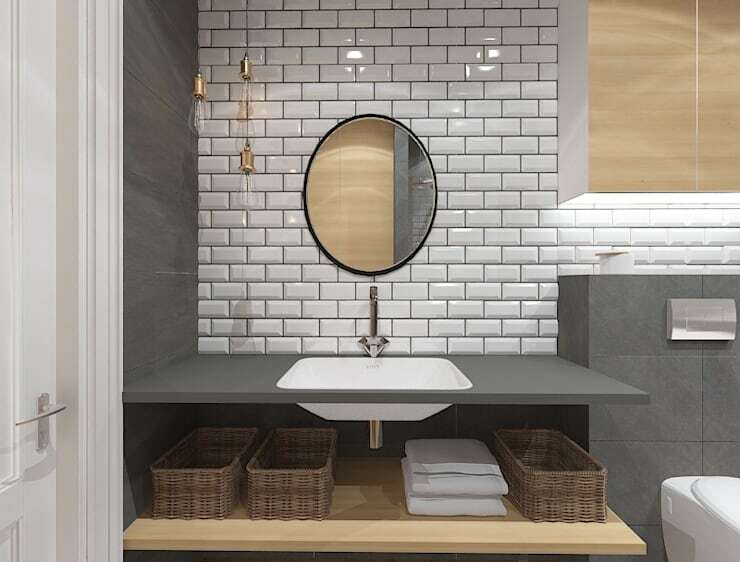 A large size vanity can solve the storage problem of your bathroom. Installing multiple cabinets throughout the room can give you maximum amount of storage. 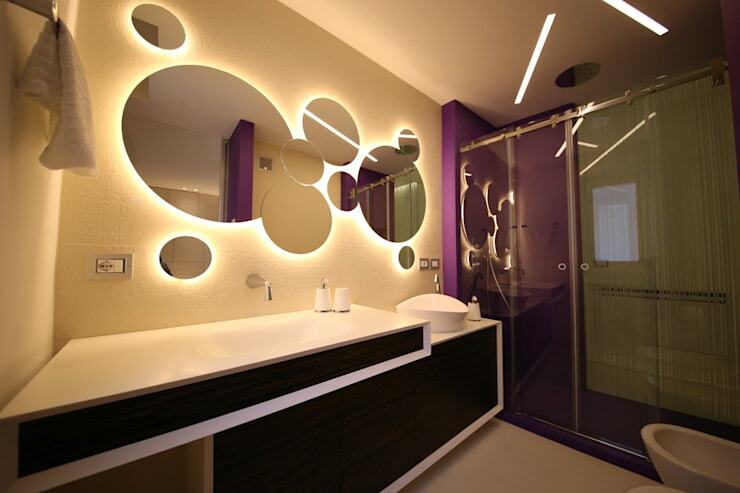 Incorporating creative looking wall mirrors can also give your bathroom a dramatic touch. 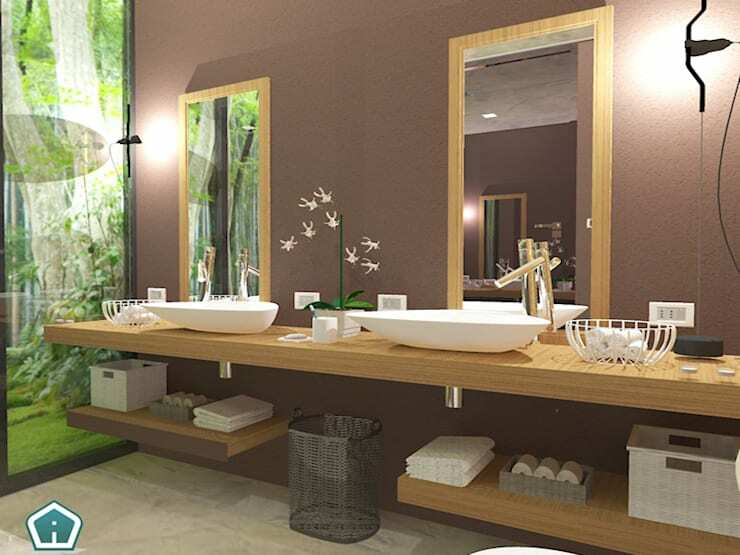 Adding small potted plants wherever possible will make your bathroom look fresh and artistic. Which one of these bathrooms inspired you the most?